Isoplexis canariensis is a quick growing, spectacular, short-lived shrub. The bright golden flowers of the Canary Island Foxglove stand out against the dark green foliage. Isoplexis canariensis will grow to 3-5 feet tall and wide. The Canary Island Foxglove is blooming from Spring until Fall. Isoplexis canariensis prefers full sun near the coast and partial shade in inland locations. Regular water is necessary as is reasonable drainage. Canary Island Foxglove is tender and will not survive temperatures that dip into the mid-20°s F. This plant can also sometimes be found under the name Digitalis canariensis. 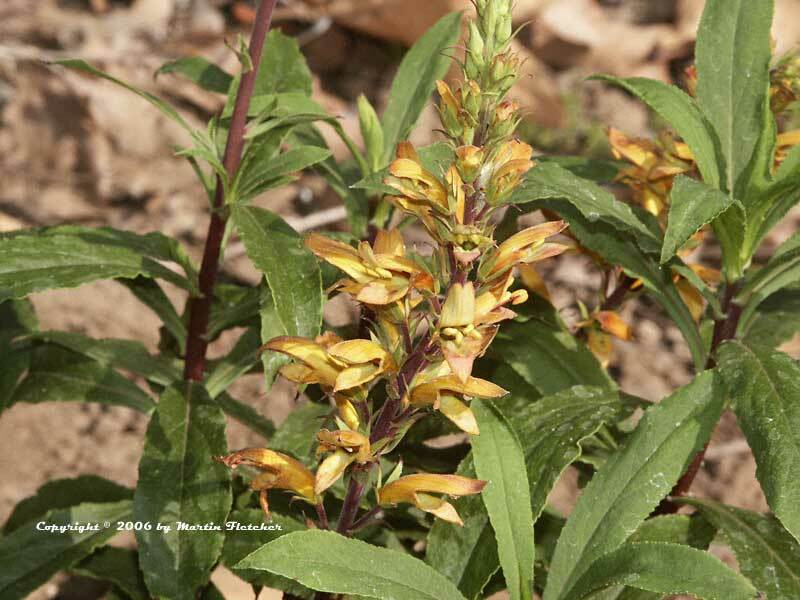 Yellow flowers and foliage of Isoplexis canariensis - Canary Island Foxglove. High resolution photos are part of our garden image collection.